I don’t know about you, but as soon as a new year begins, I like to get things organized! And, since we just kicked off a new year, I thought it would be the perfect time to discuss the giant elephant in the room…classroom clutter. As teachers and homeschoolers, it seems like we need to keep everything. While it’s true that we do need to keep a lot for documentation purposes, it doesn’t have to be so overwhelming. If you have some useful tools to help you, the task will be much less daunting. While I, personally, LOVE organizing (I mean, seriously LOVE it), not everyone shares my affinity for it. So, if you are one of the HATERS, it’s ok. I’ve spent several years learning to conquer the constant classroom clutter, and today, I want to share a few of my secrets with you. If you don’t have one or two 10 drawer carts, you should consider making the investment. (I bought mine from Sam’s and Walmart, but you can also find them on Amazon here.) I have three carts, two multicolored and one translucent, that I wasn’t sure what to do with when I started homeschooling, but now I can’t stay organized without them! The ones in the schoolroom closet store different things. 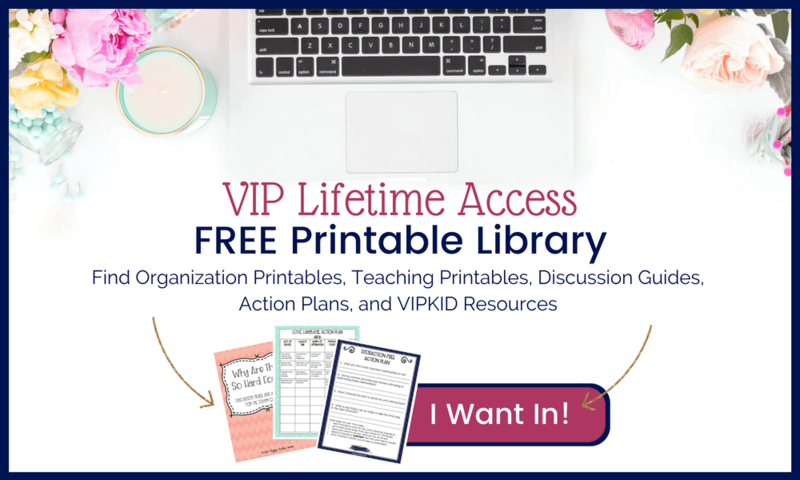 One stores teacher supplies like printer paper, labels, clipboards, page protectors, and spiral notebooks, while the other contains my VIPKid props and reward systems. I love that they maximize vertical space, especially because I don’t have a lot of real estate to waste. 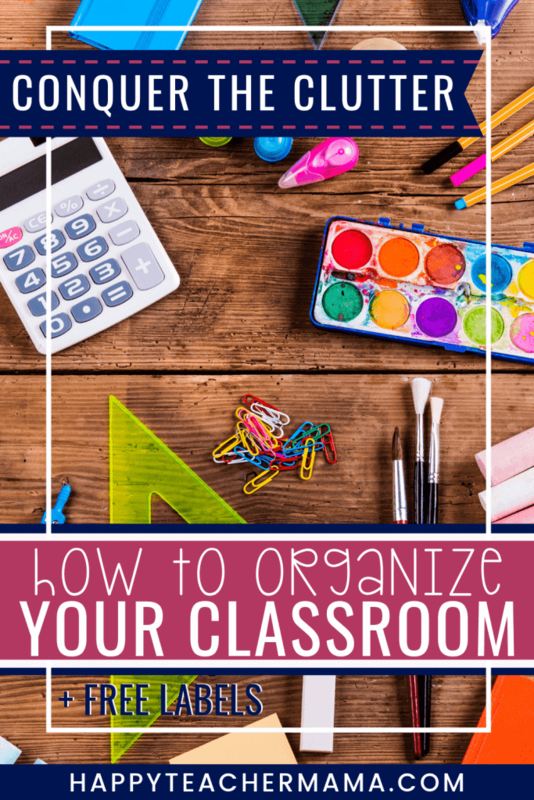 This may seem kind of obvious, but you need to label EVERYTHING to prevent classroom clutter, and that includes what you have hidden stored in your 10 drawer carts!! If it isn’t labeled, you won’t know what’s in it. The only requirement for labels is legibility. There are an endless number of options when it comes to labeling, but here are three of the my favorites. The easiest option is probably a simple sheet of Avery Labels. While they aren’t the most beautiful option, they are definitely one of the easiest. You just write, peel, and stick. If you really don’t like your handwriting, you can actually just put them directly into your printer and print! If you are debating on what items are going to go into a specific drawer or bin, Post-its are perfect. Obviously, they would be a short-term fix, but they would certainly be helpful until you can do something snazzy. Pre-made labels are another wonderful option because of the unlimited number of designs available. I have absolutely fallen in love with the farmhouse style. (Thank you, Joanna Gaines!) And, because of that, I actually created 2 different lines of classroom decor that include Rustic Wood labels and Rustic Coastal labels to fit on the front of your 10 drawer carts. I LOVE 3-ring binders because you can grab them and go, as opposed to dragging an entire filing cabinet with you. So, rather than go through the bottomless pit, you find another way to store your units, plans, and stuff. Enter the 3-ring binder. Personally, I prefer 3-ring binders because they are portable, and, if organized correctly, can save you tons of time when planning! My favorite binders have the clear pocket in the front and on the spine to hold a cover page and a label. I love that I can easily see what is included in the binder by looking at the spine. Right now, I have 20 binders in the schoolroom, and at least that many more in the basement! I have them ranging in sizes from 1/2 inch to 3 inch. However, the size I use most often is the 1 inch binder because it seems to suit my needs the best. Yes, the trash can. 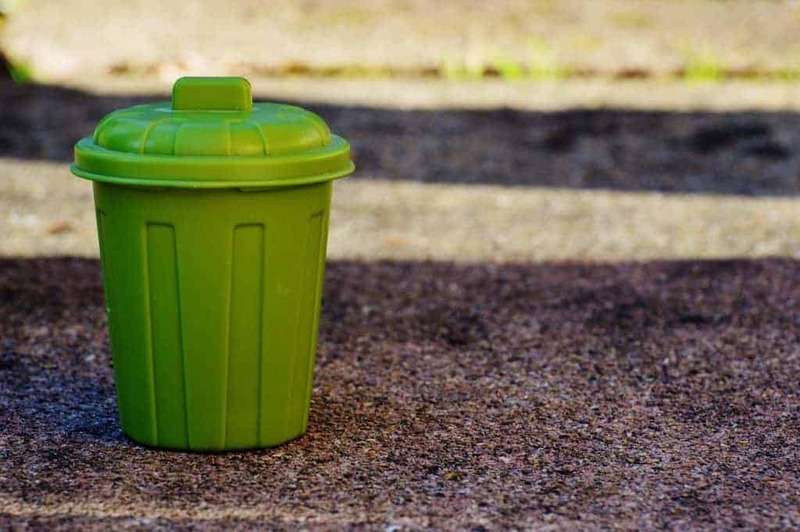 Whether you believe it or not, it’s ok to throw some things away! You need to keep things that are relevant and show students’ progress. However, you do not need to keep busywork that your students complete when there is a substitute. You also don’t need to hold onto the 14 coloring sheets your sweet kiddos completed before Christmas break…yeah, I said it. Well, friends, what do you think? Do you think these tools will help you tame the classroom clutter beast? I truly believe in you and I want to help you in every way possible. So, I am giving you a set of 10 Drawer Cart Labels FREE! Just visit my Free Resources page and you will gain access to these labels and other great organizational products!